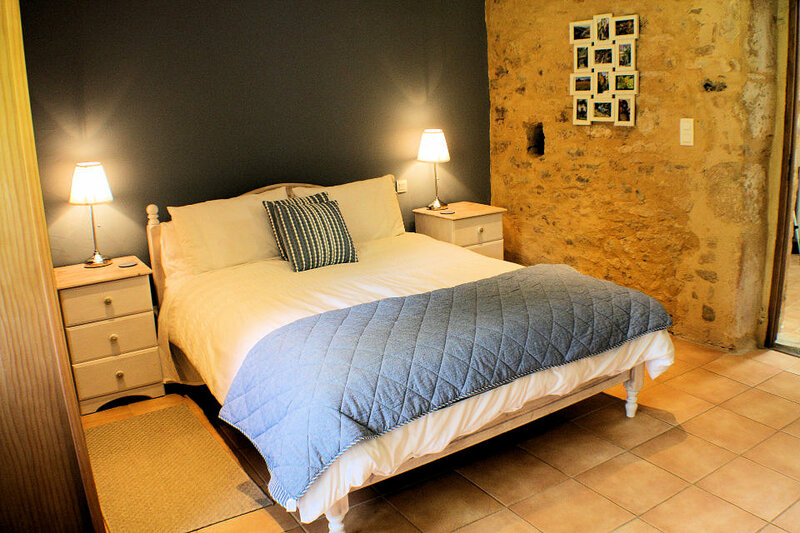 Gite sleeps 2, Pool and Grounds. The Perigord Noir area of the Dordogne is famous for the gastronomic delicacies of truffles, chestnuts and mushrooms, along with local fine red wine. Villefranche Du Perigord has an annual chestnut festival in the Autumn, celebrating the three main chestnut products of timber, chestnuts and mushrooms. The tourist information building is even named La Maison du Chataigne. La Foret features spacious accommodation for two/three set in a secluded tranquil setting, with a private deck area, and large pool shared occasionally with owners. It is the perfect base for exploring the South West of France. 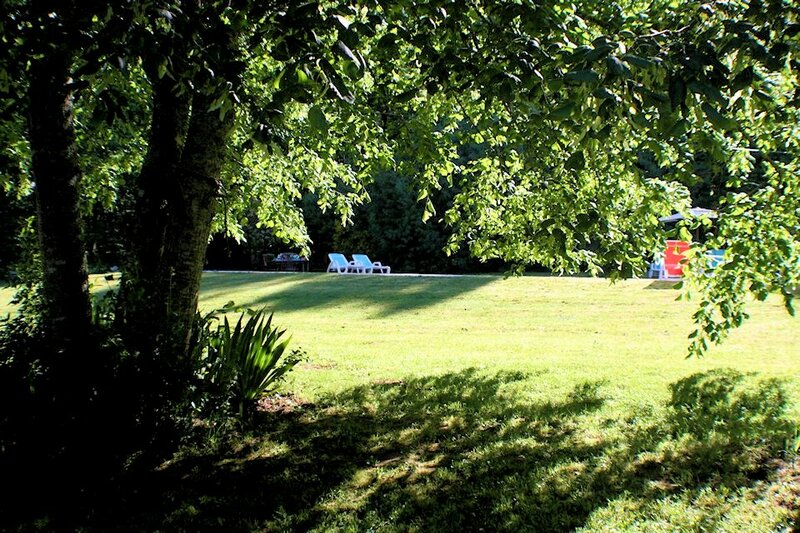 The Gite is set in 7 acres of gardens, paddocks and surrounded by forest. There is an abundance of bird-life, and Red Kites and Buzzards are regular overhead visitors. The heated swimming pool is 11 metres by 5 metres and is secluded with a paved surround. There are plenty of wonderful restaurants offering local food such as confit-duck and the much heralded Cahors wine. Cahors wine region is a stones-throw away, and wine can be bought directly from the local vineyards. A great way to try the region’s wine. Bergerac wines are found a short drive west towards the Atlantic coast. Lakeside eateries and coffee bars are also within easy reach. The area surrounding us has a wealth of history, including the beautiful Bastide towns of Monpazier and Villefranche. There are also incredible Chateaux to be explored. Domme and Sarlat are a short drive away, and the breath-taking views of the buildings and landscapes are incredible. The Rivers Lot and Dordogne nearby offer a large selection of activities including kayaking, swimming, fishing and river cruising. There is also the opportunity to partake in horse-riding, walking, road and track cycling, tennis, para-gliding and go-karting. There is a golf course a short drive away. As well as a broadband connection with Wi-Fi, media facilities include a flat screen television linked to an English satellite system and a CD radio player with an i-pod dock/charger.